Synopsis: Edna’s parents are at their wit’s end. Their daughter is constantly in trouble at school and she needs a wake-up call, but no good solution has presented itself. 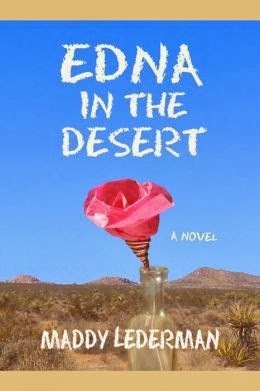 As a last resort, Edna is sent to spend the summer with her grandparents in Desert Palms where she is cut off from her phone and her computer. Bitter and angry, Edna is about to give up when she meets Johnny. Will her time in the desert cure her rebellious streak or will it create even more of a mess? Why I picked it up: The author emailed me about reviewing the book and I loved the premise, so I agreed. Why I finished it: My interest is always piqued when I hear about a story in which those of us obsessed with technology are forced to do without it. I can’t say I’m not guilty of hiding behind my cell phone just walking out on the street or even in social situations, but I’m trying to get better at this whole interacting-with-others bit. In this way, I’m no different from Edna. I’m always in a place where I am surrounded by signals that allow me to communicate via text or to look something up on the internet. But when she’s confronted with a situation in which she can’t use her usual methods of getting out, Edna is forced to find a different solution to her problem with what is available to her: a paper phone book and a rotary phone. While she is initially resistant (to put it mildly) to spending the summer with her grandparents, her acquaintance and budding romance with Johnny seems to help alleviate her boredom. She also becomes invested in getting to know her Grandma and Grandpa, the latter of whom is suffering from PTSD and rarely leaves the house. Lederman’s writing draws in the reader and as we go on this summer journey with Edna, we find ourselves just as changed as the protagonist. We learn to recognize Edna’s self-absorbed behavior as our own and it makes us think about what we could change to get us to be more in touch with the important people in our lives. Edna and the reader are forced to consider the consequences of our actions, to learn how to love much more fully and live a life that is richer. 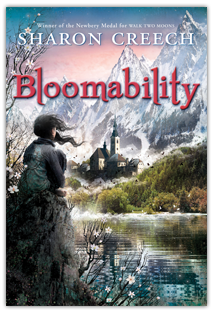 It’s a coming of age story that asks the reader hard questions without forcing an immediate answer. While the ending is somewhat bittersweet, we, like Edna, will have made a more positive change that we will be able to carry with us into the real world. Synopsis: The hangar is abuzz because there is going to be new flights for businesspeople, and all of the jets want a chance to have the job. TJ, a little grey jet in the corner, wants to beat out the other, larger jets but he’s going to have to have spirit if he is going to fly. Why I picked it up: I was curious about this book because I wasn’t aware of the original story and I was intrigued by the loveliness of the illustrations. Why I finished it: This is a cute story that is loved by both children and adults about believing in yourself and doing the right thing. 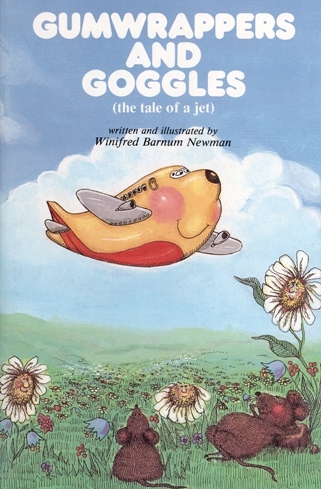 In the introduction, Barnum-Newman recognizes that the premise of a court case doesn’t seem like it would fit into the context of a children’s book. But the story isn’t so much about a court case as it is finding the power to do what you want, find different ways of dealing with naysayers, and having integrity and love in all that you do. The illustrations are intricate and simple, using bright colors to draw the reader’s eye to the page. They bring the story to life and inspire our imaginations. With a varied cast of characters, readers will be drawn into the story, cheering for TJ and his friend Amelia the Good Air Fairy. It teaches us about how important it is to stay true to ourselves and that our differences are what make us unique. Why I picked it up: I will read anything David Levithan writes forever. Why I finished it: This book definitely deserves the glowing reviews its received: it’s poignant, heartbreaking, and full of hope. Each of the couples in this book represents a stage every relationship – gay or straight – goes through: the nervous getting-to-know-you, the continual desire to know every little thing about the other person, the still trying to be friends even after things are over, and everything in between. It’s a story about the struggles we encounter on the way to becoming ourselves, the way we want others to see us, the way that we have to let ourselves open up to someone we want to be close to, the way we support our friends. The chorus of those who came before gives the reader insight as to what our characters face, what generations of men and women after them will face: the adversity, the challenges, the hurdles people will overcome in order to be together. The real story behind the kiss is just as exciting as Levithan’s fictional re-telling, and while records can be broken, the message sent sticks in our minds. It’s a message that says to me that we’re all people, we all deserve to be treated with the same respect, we all deserve to have our voices heard. It’s a message that stays with the reader long after the book has been put down, and will continue to resonate with readers after us. 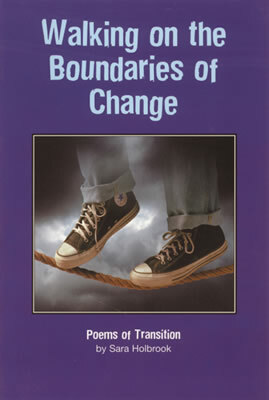 Synopsis: Transition is a large part of life, especially when you are a teen. This collection explores the theme of change, new experiences, and tough choices that all of us must make in our journey to adulthood. Why I picked it up: It’s another one of those books that the title caught my eye because it so perfectly describes the teen age. Why I finished it: The beauty of poetry is that it tells a story, paints pictures, relay emotions, and show us moments in time. But the same thing that makes poetry so wonderful is also what makes it a challenge – the language must be concise, the words carefully chosen to convey just the right emotion, to portray the right voice. So it would make sense that the challenges of being a teen would be perfectly portrayed in poems, and Holbrook tackles the combination with a certain finesse that I have only found in poems written by teens. Each poem takes on the angst, the anger, the fear, the love, and the confusion of what it means to be a teen and what it means to struggle with finding your personal identity, finding your niche. The poems relate the joys and the trials of being different and how we deal with growing up. They help us understand that even though we feel alone and misunderstood that there are things that can still speak to us in our resistance. It encourages us to explore our personal growth and our beliefs so that we can become the people we wish to be. Synopsis: The post-apocalyptic city of Chicago has been divided into five factions: Abegnation (the selfless), Amity (the peaceful), Candor (the honest), Dauntless (the brave), and Erudite (the intelligent). At sixteen, young adults are tested to determine which faction they will call their own. 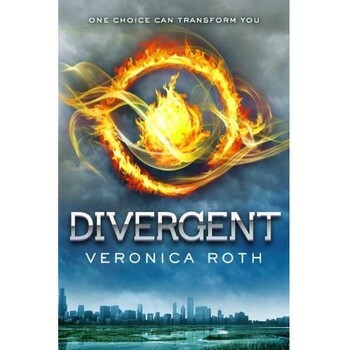 Beatrice Prior already knows that she will have a difficult time with her decision, but when her test results come back inconclusive, she will have to make the choice on her own. At the Choosing Ceremony, she chooses Dauntless, making the decision to leave her family and make a new life for herself. Renaming herself Tris, she begins her initiation training and begins to uncover a plan that could send their entire society into chaos. Why I picked it up: The movie comes out on Friday and I decided I had probably read it before I saw the movie. Why I finished it: It started out a little bit slow for my taste, but it picked up the more I got into the story. Roth has created for the reader a dystopian society that is reminiscent of We, The Giver, and 1984: the notion that though the government has been designed to keep peace, it is in fact creating dissonance in society, showing that not all of the people are equals (which was one of the reasons for the Communist movement in Russia). But aside from the history lesson that we could get from this book from a deeper read, we have teenagers that are forced to make decisions about themselves and the kind of people they will become. None of Beatrice’s inner conflicts are foreign to the reader, and the feelings of being too small, believing that the wrong choice has been made, and the desire to find a place in the world transcend age and gender. Tris, as she calls herself after she switches from Abegnation to Dauntless, may seem like a small character, but she grows more determined and more brave as the events of the plot take their course. Like many modern teenagers, she has to learn hard lessons about her peers, about her mentors, about love, and about the world as a whole. She spends a fair amount of time doubting herself, but it is her stubbornness and her inherent selflessness (a trait from which she tries to distance herself) that gives her the fuel she needs to keep going, to keep fighting. My one qualm with the book is that Roth spends quite some time describing the movements of the characters to the point where it detracts from the dialogue in some places; in the little intimate moments, I don’t care whether their hands are on each other’s waists or running their fingers through hair while the other has their hands on their hips, I just care whether they’re going to embrace/makeout/whatever. Teenagers have wandering hands, we get it. But overall, this is a strong debut novel with a message that we are in charge of our own transformations, that despite feeling out of control, we do have a say in our own future. Synopsis: Dinnie is in trouble: she’s been ‘kidnapped’ by her aunt and uncle and taken to Switzerland to attend an International School. Her parents are calling it an opportunity, but all Dinnie wants is to go back to the states with her family. She even tries to makes a sign for her window that says “Kidnapped” but she can’t seem to find the right word to convey her message. Then Dinnie meets Guthrie and Lila, two of the students at the school, and through their friendship she begins to see more and more opportunity in her life and more ways to feel less like a dot and more like a person. Why I picked it up: It’s another middle school favorite I pulled off my shelf while I was reorganizing my personal library. Why I finished it: Creech has a flair for telling the reader a story about themselves, though it might not always be seen in that way. Dinnie, like many of her other protagonists, feel that they are missing a part of their own identity, whether it be from losing a loved one, making a life change, or having the world as we know it seem to fall apart. Dinnie overhears her mother telling her aunt that she is ‘adaptable’, but Dinnie isn’t quite sure of this assertion; she just feels like a dot in a bubble, floating around above the world but never really participating in it. Guthrie and Lila have a lot to do with changing her point of view: both characters are loud, boisterous, and full of a lust for life, Dinnie’s opposites. As she copes with missing her family and figuring out where she belongs in the school, Dinnie begins to look more and more into herself. She wants to be her own person, but she’s so afraid to have her bubble burst that she is afraid to let anyone in. Part personal discovery, part letting go, Creech’s coming-of-age story reminds us that the people around us can help us shape our lives in ways we could never have imagined and that one should remember to look up rather than down. Why I picked it up: I want to expand my multicultural knowledge base and I have a special place in my reading list for stories about finding yourself. Why I finished it: Tara is a charismatic narrator with a wacky family and caring friends that despite misunderstandings will always have her back. 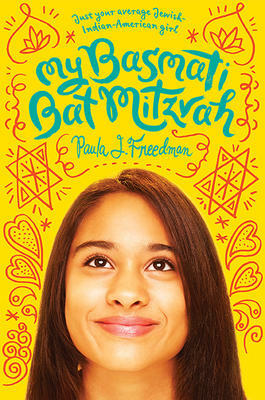 And like any young teen, she’s trying to find a happy medium between what she wants and what her parents want…and what side of her family she most identifies with – her Jewish side of her Indian side. Tara has the unique problem of being in a culturally diverse family and it’s clearly having an effect on her religious beliefs and on her relationships with her friends. She doesn’t want to have to give up her identity as a Indian-American Jew to be just ‘Jewish’ or just ‘Indian-American’. Freedman has captured both the confusion and the determination of a young girl to prove that she is her own person while navigating the minefield of personal relationships. It reminds the reader about the confusion of first loves, the strength of true friendship, and the often overlooked support that comes from family. The novel is a charming coming-of-age story that proves that everyone is unique and that we can shape ourselves in ways we never thought were possible.